"We wanted to do two things," exhibition curator Amanda Herbert says of First Chefs: Fame and Foodways from Britain to the Americas. "We wanted to give people a sense of the famous chefs and food creators and food makers in the period, but we also, simultaneously, wanted to recognize that—just like today—most of the work relating to food in early modern Britain was done by people who were and are not recognized." "One of the things that we were working against was the assumption that the Renaissance was all about banquets and big, pretty engravings," says Herbert's fellow exhibition curator, Heather Wolfe. 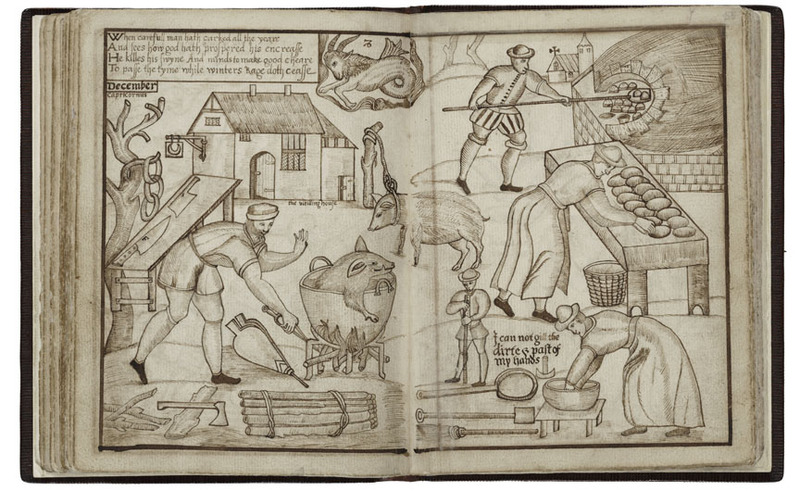 While First Chefs does include an engraving of James II's vast coronation banquet, it offers far more glimpses of often-hidden workers. "Some of the manuscripts identify people who would otherwise be lost to the historical record," says Wolfe. "We have a legal inventory which includes the names of seven enslaved people." And from a British estate, there is "an account book which includes payments to women and men who are weeding the gardens and doing other garden maintenance," she says. 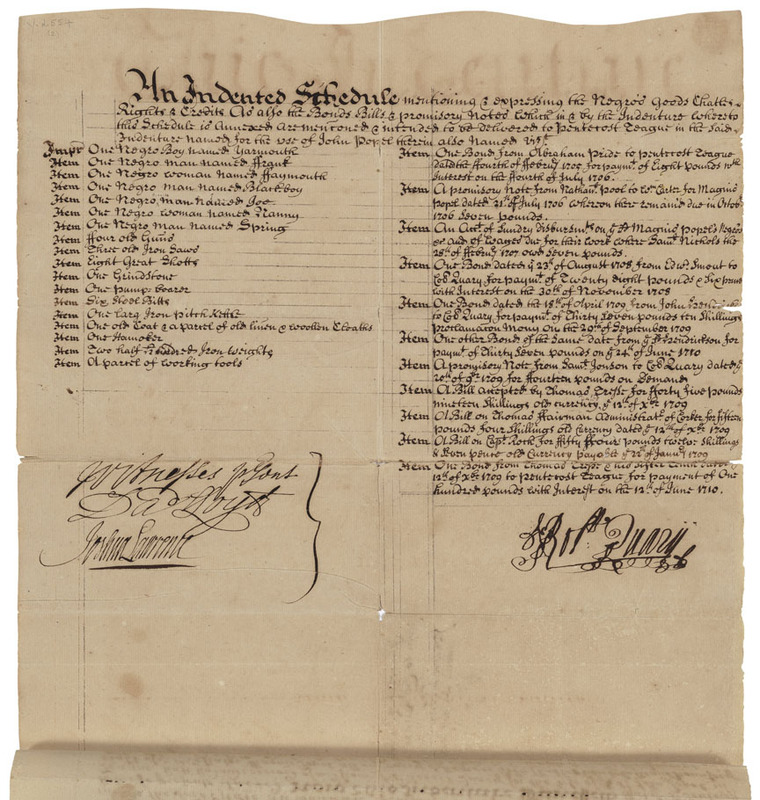 "So much of the strength of the Folger collection is in these manuscripts, which include many traces of non-elite people who were the backbone of English society." A set of materials from Historic Jamestowne adds another dimension to the story. Founded in 1607, the Jamestown settlement came close to failure early on, producing in the process an archaeological treasure trove: two former water-wells that were closed up in the 17th century, full of debris that offered evidence of the lives of people in and around the settlement. "We're borrowing seeds, oyster shells, and other food-related items that were recovered from the wells," says Wolfe, "so they're datable to the exact period in which Shakespeare was flourishing in England." Herbert adds that the preservation of the items is astounding. "One of the Jamestown archaeologists told us that, during excavation, they pulled oak leaves out of the wells that were still green, still full of chlorophyll, from 400 years ago." One of the exhibition's "first chefs," Hercules, was enslaved by George and Martha Washington; to help present his story, the curators borrowed artifacts from Mount Vernon in northern Virginia. Among them are a porcelain and a wooden bowl, which offer insights into Hercules's day-to-day work. "Put side by side, they are really striking to look at. They are both tools of Hercules's labor," says Herbert. The porcelain piece is a serving bowl; the wooden bowl shows knife marks made by enslaved kitchen workers hundreds of years ago. 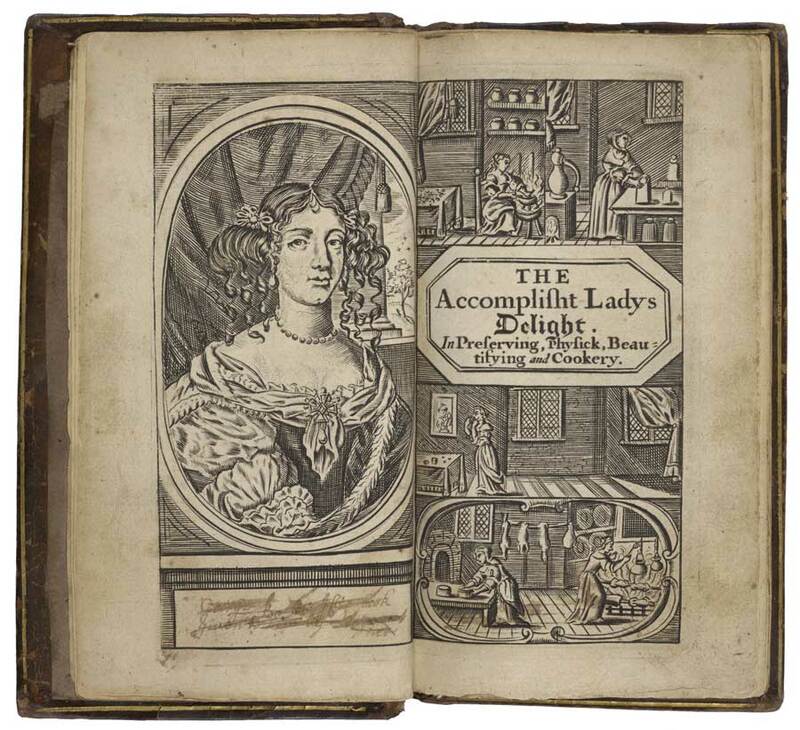 The accomplish'd ladies delight in preserving, physick, beautifying, and cookery. Wolfe and Herbert also take a special interest in the well-published writer Hannah Woolley, another of the first chefs. "We were excited to include her," says Wolfe, "because her audience was not elite women and men, but women coming from a variety of backgrounds, who were aspiring not just to be cooks, but also to do household work or to do embroidery. Hannah Woolley was not just a chef; she was teaching all kinds of domestic arts. She's a super-fascinating character who has that Betty-Crocker-like mystique." "We also loved telling her story because she was arguably the first British woman to make her living by her pen," says Herbert, "and she was one of the first female celebrity chefs in the Anglo-American tradition." As with evidence of some of the other first chefs, the Folger has a deep collection of Woolley's books. Among those on display is a little-known but vitally important holding, "the only copy of one of Hannah Woolley's works in the world," says Herbert. Before this exhibition, "this work has not been included among her known published works," says Wolfe. "It's a belated addition to the canon of Hannah Woolley." While the exhibition fetes Woolley, Hercules, and the other first chefs, it also exhibits the written work of lesser known, sometimes unnamed, figures. First Chefs pays special attention to the Folger's collection of 17th-century handwritten English recipe books, which is the largest in the world. Ten of the recipe books are on view, with a touchscreen display that allows visitors to "flip through" their pages electronically. 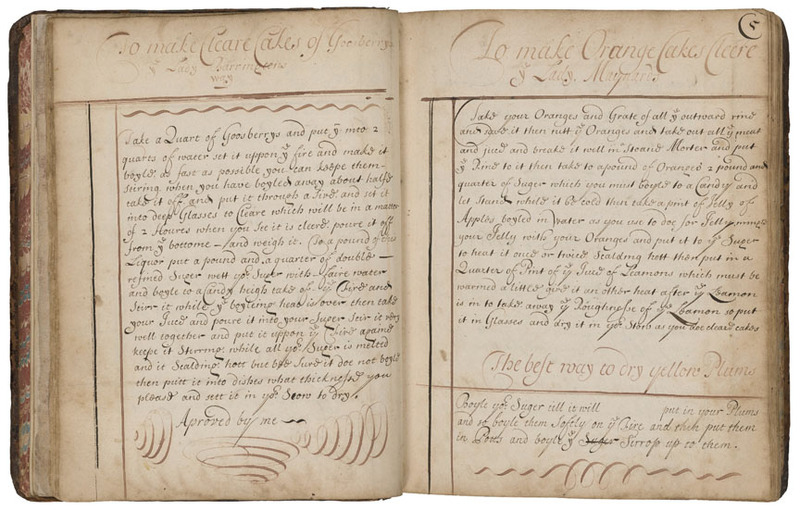 As the exhibition notes of the recipe books, "many of these surviving manuscripts contain multiple generations of ownership marks, showing that their recipes were passed among family and friends in much the same way we share recipes today." Such observations close the circle—as do many aspects of the exhibition—between famous and unknown figures who worked with food in the early modern world, and our lives and daily experiences today.